Your Brooklyn Plumber, Downtown Plumbing Can Solve Any Plumbing Problem! 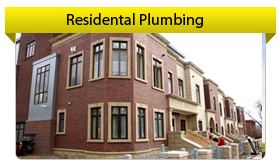 Downtown Plumbing is a premier home service company, serving the Brooklyn area. We provide top quality plumbing, heating and air conditioning services. We pride ourselves on being at the cutting edge of new technology, methods and environmentally friendly plumbing solutions. We are a locally owned business with more than 20 years of cumulative experience, committed to our customers and the surrounding community. Downtown Plumbing is your local plumber. Our #1 goal is to provide friendly, top quality work 100% of the time. 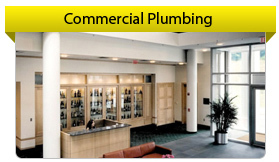 Downtown Plumbing provides service to all of your residential and commercial plumbing needs. Our service management team is pre-screened and experienced to the highest industry standards. All of our technicians have been drug tested and background checked. We do not use a call center, so when you call Downtown Plumbing, our staff will assist you in scheduling your call, at your convenience. Calls will be answered by a real person and sent out to our manager and quickly returned. We know plumbing problems occur at all hours and that’s why we are here for you 24 hours a day, 7 days a week, 365 days a year. We Offer Up Front Pricing – So there are no surprises and you know the price before we do the work. Satisfaction Guaranteed in Writing – We’re expert, reliable and locally owned. That’s why, when you want the job done right the first time, call Downtown Plumbing. Licensed, Insured and Bonded Techs – Our technicians are skilled, professional and honest. We hold ourselves to the highest industry standards. Peace of Mind – Our highly trained technicians are friendly, responsible, drug-free, neat in appearance and mindful of their speech and your property. Thorough background checks. 24-Hour, 7-Day Service – Your service needs and emergencies don’t always happen during “normal” business hours! That’s why we provide plumbing service at your convenience. No need to take off work, we offer Saturday hours. Our emergency technicians are on call 24/7, because we’re your local emergency plumbing, heating and cooling company. Your Brand and Your Model Serviced Right – We service all brands and types of plumbing systems. Downtown Plumbing’s skilled, experienced, reliable technicians can solve even the toughest of problems. Just try us, we love a challenge. Proven Experience – Don’t pay big bucks for trial and error! Get Downtown Plumbing’s years of expertise working on all your plumbing needs.